In 2017, the American Animal Hospital Association (AAHA) released their updated Canine Vaccination Guidelines … but do these guidelines prevent the dangerous over-vaccination of dogs? Every dog owner fears infectious disease. Parvovirus and distemper can be debilitating and even deadly for our pets. You want to protect your dog from harm so you give him vaccinations …. But you might not know this protection comes at a cost. Dog vaccinations can often be just as harmful as the disease they’re meant to protect against. Vaccination can cause a wide range of health problems that range from minor fever to anaphylactic shock and cancer. So it’s vital that we vaccinate our pets only when necessary. These reactions can and do happen every day. Your job is to protect your dog not just from parvo and rabies, but also from cancer, allergies and autoimmune disease. Vaccination will protect your dog against infectious diseases (in most but not all cases). But vaccination will also increase your dog’s risk of cancer and serious, life threatening autoimmune diseases. Vaccines can both save lives and take lives. So the idea is to give as few vaccines as necessary to protect your dog from infectious disease … and hope he doesn’t develop autoimmune disease. Twenty years ago, a very important research piece was published. “Vaccines for diseases like distemper and canine parvovirus, once administered to adult animals, provide lifetime immunity.” “Are we vaccinating too much?” JAVMA, No. 4, August 15, 1995, pg. 421. At the time this study was released, vets were vaccinating dogs and cats every year – not because they needed annual boosters, but because the makers of those vaccines only tested them for a few months. But thanks to Dr Schultz’s work, the major veterinary associations finally knew that the core vaccines were extremely likely to protect dogs and cats for life. They finally knew there was a serious problem with the over-vaccination of dogs. So in 2003, they changed their revaccination guidelines. Now this might sound like a great step forward, but there were two problems with this. First, the AAHA and AVMA only changed their recommendations from annual vaccination to every three years. Over the years, more and more Vaccination Guidelines have been released by the AAHA, but each time they really didn’t budge all that much on the arbitrary (and excessive) recommendation of every three years. NOTE: If your dog is experiencing side effects from his vaccinations and you’re looking for a way to alleviate his symptoms you should try our Anti-Vaccinosis. Was 2017 The Year For Change? Nope. The most recent 2017 Canine Vaccination Guidelines were no different. Vets are still sticking to the three year interval (which research has repeatedly shown is excessive). The problem with the AAHA’s overly aggressive vaccination schedule is compounded because the vaccination guidelines are merely recommendations. This means vets can also ignore research and safety and vaccinate whenever they feel like it. And according to a major vaccine manufacturer, 60 percent of vets still vaccinate every year. This is bad news. Most vets are either unaware or unwilling to vaccinate based on research. And your dog pays the price of dangerous over-vaccination. Until recently, vaccine schedules have been based on nothing more than speculation. Yet vets have always been able to tell whether a vaccine was needed or not. 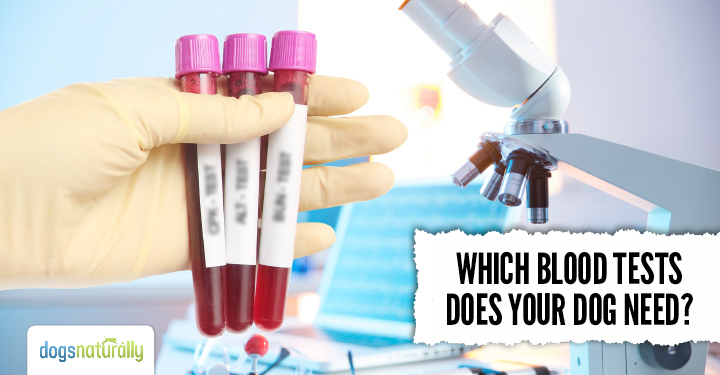 A simple blood test, called a titer, can tell if your dog is protected or whether he actually needs another vaccine. 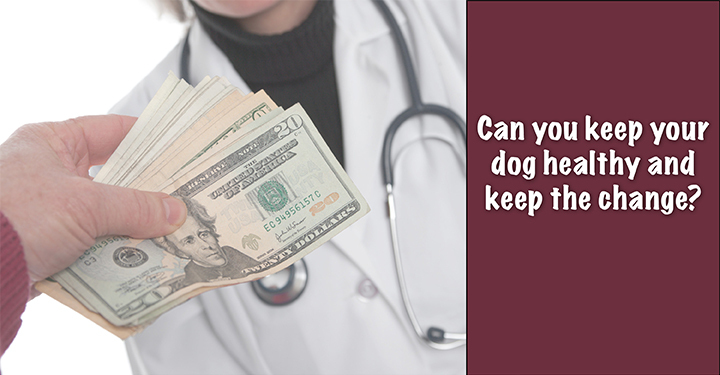 Why are vets so quick to give your dog life-saving vaccines, but not life-saving titer tests? Another problem that’s been solved is that cost and convenience were a a barrier. Titers were expensive and we didn’t get results right away. Vets had to draw the blood and send it to a lab first. Maybe that’s why vets haven’t been offering this life-saving tool and have just been giving vaccines instead. But recently, that’s all changed. You and your vet can finally put an end to dangerous and unscientific vaccine schedules. There are two in-house titer tests that are now available to vets. This means the test is done right in your vet’s clinic and you get quick results. TiterCHEK and Vaccicheck are the two simple tests your vet can do right in his clinic, for about the same amount of money as a vaccine. Unfortunately, just as vets are slow to change their vaccine schedules, they’re slow to start using titer tests to determine whether your dog actually needs his next vaccine. Some vets would prefer to just give the vaccine … but that one shot could be the one to cause serious and irreparable damage to your dog. You have a choice as the owner of your dog. You can choose to allow your vet to over-vaccinate your dog or you can choose to protect him and ask for a titer test instead. In January 2015, Dr Richard Ford delivered a lecture on titer tests at the NAVC. It was so popular, over 400 vets were lined up out the door to get in. There are vets who care about over-vaccination and the damage it can cause. These vets should be supported. These 400 vets will only use these titer tests if you ask for it. Don’t let this lecture go to waste. Ask your vet for a titer test in lieu of your pet’s next vaccine. If your vet doesn’t want to do a titer test, move on to a vet who is willing to go the extra mile to protect your dog from harm. A vet who cares about the over-vaccination of dogs. Your dog deserves nothing less.